Fact, it’s hard to build lean muscle at the same time as burning fat. The real danger is that you’ll end up burning muscle to give you the energy for a good workout. That’s why you need to consider taking the best BCAA supplements on the market. They are designed to maintain your anabolic state, providing much-needed glycogen; effectively allowing you to work out harder while protecting the muscle you already have. If you’re serious about getting in better shape, you need BCAA supplements. Fortunately, that’s exactly what this guide is for. 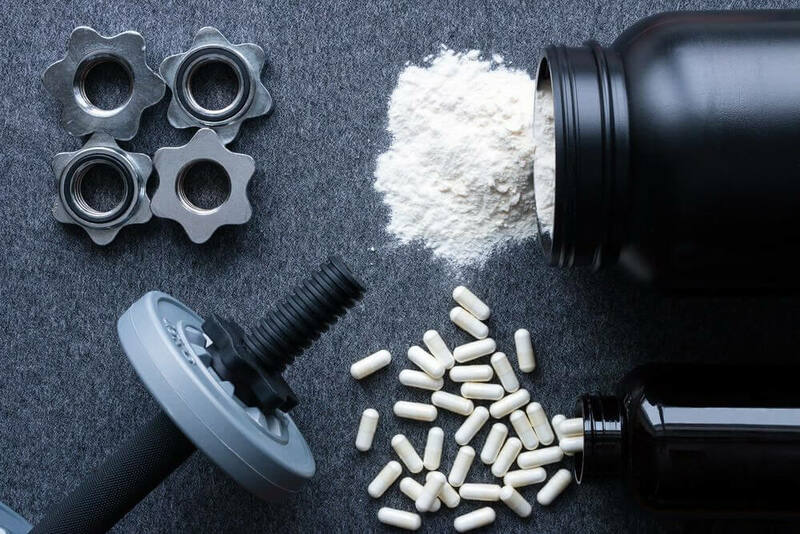 Together we’ll take a look at what the best BCAA supplements 2019 have to offer, and guide you through the decision making process; to ensure you choose the best for your needs. What are the Positives & Negatives of Taking BCAA? Does BCAA Boost Muscle Growth? Is BCAA Bad for Your Organs? Is BCAA Energy the Same as ‘Regular’ Energy? Are You Ready to Take BCAA Supplements? The most popular way to take this supplement is in powder form, which needs to be mixed with water; it is advisable to get one that is flavored. However, you can also get BCAAs in pill form although, the pills are large, you’ll have to take several at a time and it takes longer to digest it. 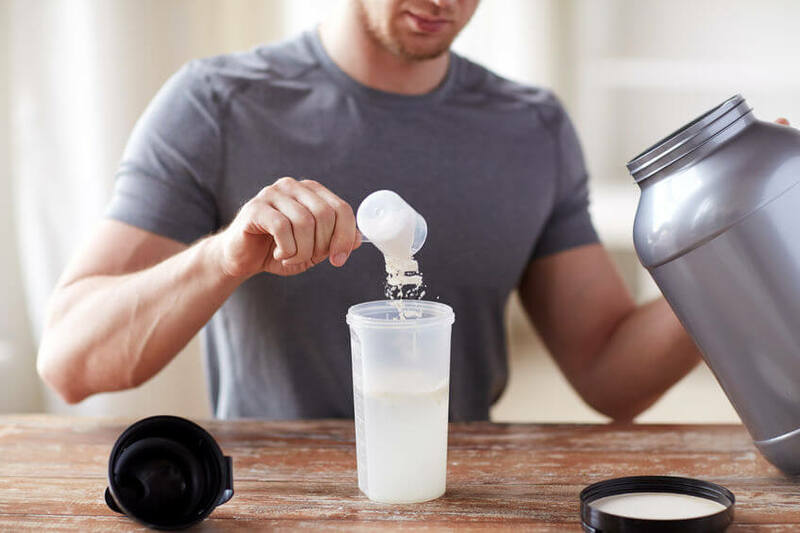 That’s why powder form is best, whether you’re looking for the best BCAAs for men, the best BCAAs for women, or simply the one that will give you the best results; you’ll find it on this list. 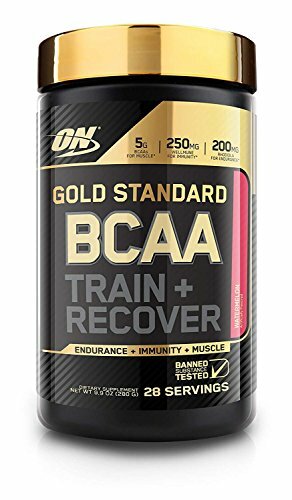 Review: Optimum gold standard nutrition is generally agreed to be the best BCAA powder for boosting energy levels and helping you to overcome a plateau. This company already has an excellent reputation, you’ve probably heard of, or tried, their whey protein. The Optimum Nutrition BCAA powder focuses on immunity as well as boosting your energy, potentially making it the best BCAA powder overall. Different flavors including watermelon, banana, and surprisingly, cake batter. Just 10 calories per serving. Contains wellmune to boost immunity, Rhodiola and electrolytes for endurance and performance. Expensive compared to the competition. This is more than just your standard energy boosting, muscle protecting BCAA supplement. The addition of Rhodiola really helps to lower stress and fatigue levels, while boosting your ability to focus. It will help you to be ready for your next workout. Review: You may be surprised to find this offering on the best BCAA supplements list, but the company has a motto “quality supplements and vitamins for less”. In this case, it seems like they have come up with the right goods. Nutricost have designed this as the best supplement for before and after your workout, it may not boost your energy levels but it will support your muscles and help them to recover. One of the cheapest you can buy. Tested by independent ISO-Accredited labs. Bitter taste; because it’s pure. This is a budget-friendly offering that will help to boost protein synthesis in your body, (the repair and growth of your muscles). 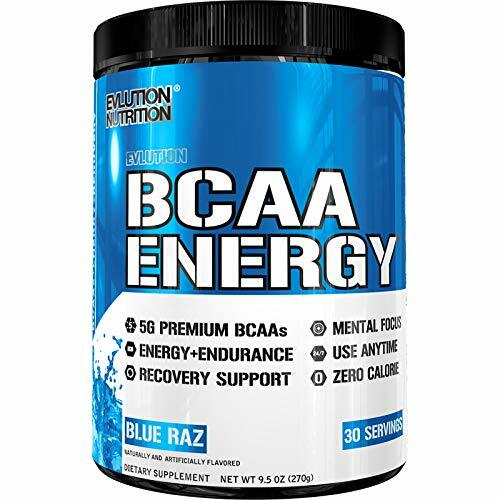 Review: Evlution Nutrition BCAA supplement is an attractive option, the price is not the cheapest but certainly lower than much of the competition. It actually uses caffeine from coffee beans and green tea, giving you a valuable boost of phytonutrients. 500mg of beta-alanine, L-alanine, and taurine. Contains more than your daily requirement of vitamins C, B6, and B12. The addition of beta-alanine is likely to improve your endurance, while the taurine attached to the caffeine will help you to have the energy spike you need without the jitters. The fact that it also has several important vitamins means that you’re getting a lot of value for your money. Of course, this is one supplement to avoid in the evening, unless you want to be up all night. 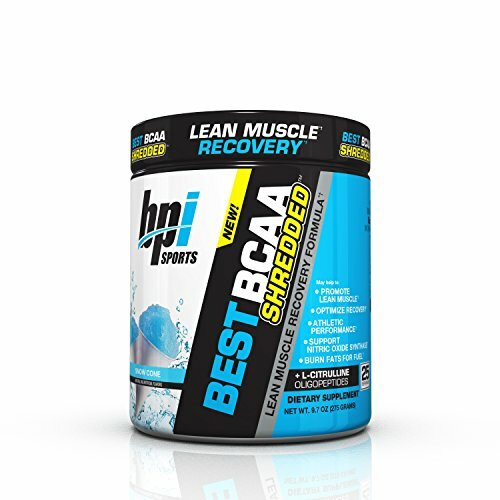 Review: BPI Sports is a Florida based company that has developed a range of protein bars, powders, and now one of the best BCAA supplements on the market. The distinctive part is the addition of agmatine, which is supposed to improve blood flow; therefore increasing performance capability. On the border of cost-wise; there are cheaper options available. CLA is a potentially unnecessary ingredient. This is a good product but, the price and the potentially unnecessary ingredients lower its place on the list. Review: This is the first BCAA supplement on this list which uses a different ratio for the amino acids. 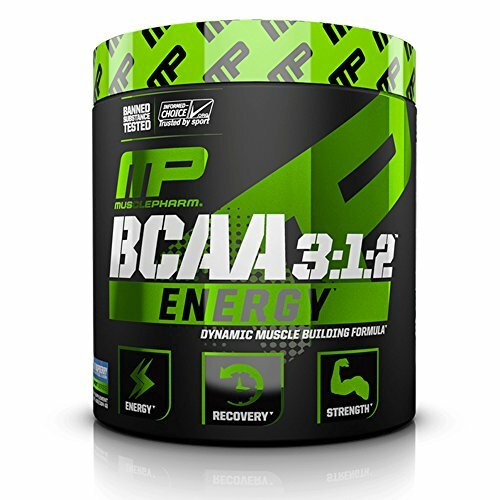 Instead of the conventional 2:1:1, Muscle Pharm have chosen 3:1:2. This is intended to give Muscle Pharm the edge compared to other energy supplying BCAA supplements. Zero calories, carbohydrates, and sugar. Allergy warning included for milk, egg, soybeans, shellfish, fish & nuts. Does contain artificial sweetener, sucralose. This is a very affordable, verging onto the budget side, an offering of a BCAA supplement. It is a good choice if you’re looking to improve your performance when working out. But, if you’re hoping to top up your vitamins or boost your fat burning potential, this is not the one for you. Review: This is arguably the best BCAA powder if you’re looking to train harder for longer. It is specifically designed to deliver a caffeine boost up to 6 hours after you’ve taken your first sip. It is also scientifically balanced, ratio 3.5g leucine, 1.75g isoleucine, and 1.75g valine, which ensures optimum recovery time. It also has 1g of citrulline malate which has been shown to improve nitric oxide levels in your blood. This will improve the delivery of energy to your muscles, helping you to work out harder and for longer. 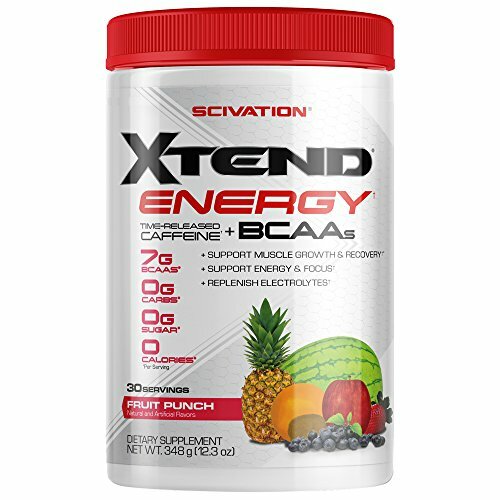 If you’re looking for the best BCAAs for recovery and extending your performance, then there is little to fault the offering from Scivation Xtend. This is also a great option if you are trying to drop a few pounds as it has zero calories and carbohydrates; potentially making it the best BCAA supplement for weight loss as well. 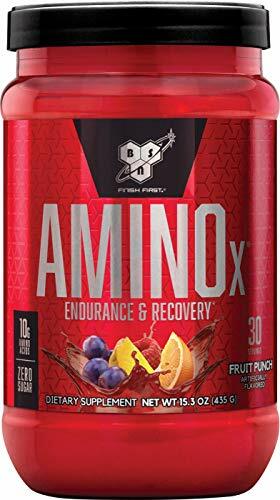 Review: The BSN Amino recovery supplement doesn’t actually mention BCAAs in the title but it does contain them. It also contains several other ingredients, such as vitamin D and taurine, but no caffeine. This makes it a little unusual as caffeine is commonly used to boost your energy levels. However, as this clearly targets our post-workout stage, the focus is on maintaining muscle while burning fat. 10g amino acids per serving. This is a reasonably priced product but it does have a proprietary blend. In short, this makes it impossible to ascertain whether the 3 critical amino acids, L-leucine, L-valine, and L-isoleucine, are included in the ratio 2:1:1; which is the favored approach by most companies and athletes. 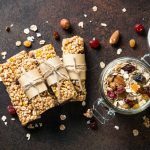 It does have a large quantity of vitamin D to boost bone strength, making it a solid option for recovery, but not for before or even during your workout. Review: NOW have been creating natural supplements since 1968, that gives them certain credibility, which is backed by the quality controls they have in place for every product. 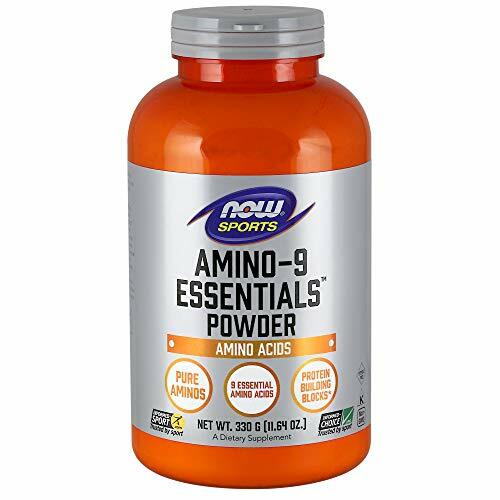 Instead of creating a product with the 3 most essential amino acids for muscle recovery and repair, this product gives you all 9 essential amino acids. Doesn’t dissolve well in liquid. While 20 calories is not a huge number, it is compared to the other offerings on this list. 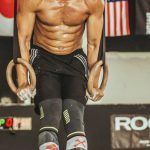 This is potentially one of the best BCAA supplements for boosting your performance, but it is not a great BCAA supplement for intermittent fasting. 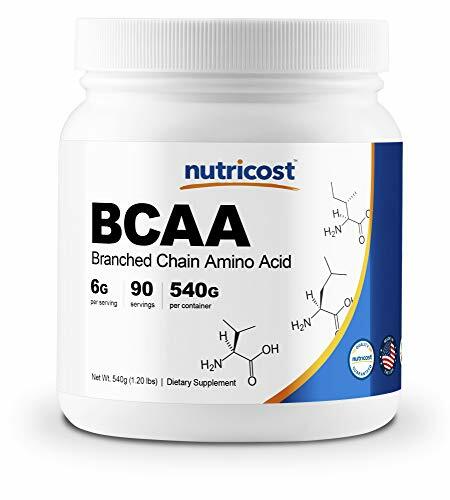 That said, it is a great health benefit and offers all the amino acids you need to encourage protein synthesis, making it potentially the best BCAA for muscle growth. 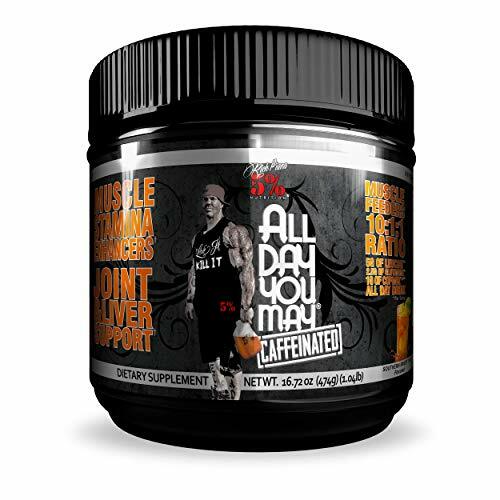 Review: The Rich Piana 5% BCAA powder comes emblazoned with “All day you may”. This is a reference to the caffeine in the product which will keep your energy levels up throughout the day. But, this BCAA supplement is more than just one of the most popular supplements for bodybuilders. It is also a good source of multiple vitamins and is even reputed to help relieve joint stress. Glucosamine sulfate to provide joint support. An unusual ratio of amino acids 10:1:1. The biggest issue with Rich Piana is the use of proprietary blends which hides the amount of each ingredient. However, it is an exceptionally popular and well-rated supplement. Even if you can’t tell the exact amount of BCAAs in this product, the joint support and caffeine for all-day energy will boost your performance and encourage muscle growth. Review: You’ve probably heard of MuscleTech, they are one of the best-known manufacturers of supplements. 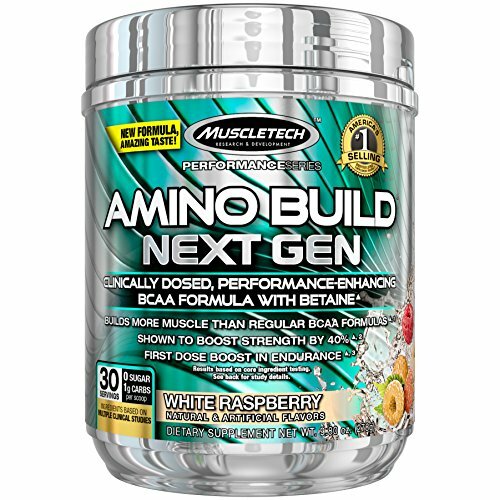 It claims to build more muscle than regular BCAA formulas and achieves this through the additional ingredients, such as the electrolyte blend and the cell-volumizing and recovery complex. Much of this additional strength building power is associated with the addition of betaine anhydrous, there have been a couple of studies that show this substance has the potential to boost muscle size and endurance. MuscleTech may just be ahead of the game with this product. 500mg of taurine, glutamine, and alanine. 25 calories per serving are high compared to other BCAA supplements. The scientific studies offered by MuscleTech appear to confirm the potential of this supplement. It could be a great option if you’re looking for the best BCAA for muscle gains, but a little more research will be reassuring. This is one of the more expensive options, you’ll need to consider this before you make your purchase. When it comes to these supplements the best BCAAs for men and the best BCAAs for women are not really any different. Despite the obvious genetic differences in male and female make-up, the basic metabolic functions are the same. Follow this guide and choose from the above list of the best BCAA supplements. You need to think about what you hope to achieve. The best BCAA supplements for weight loss are not necessarily the same as those for muscle gain. Equally the best BCAA supplements for men may have additional calories and carbohydrates to encourage mass gaining. If you’re female this may not be your primary consideration. Consider your goals before you even start looking at the products on offer. It is important to verify the reputation of the manufacturer and the supplier. Ideally, you should look at a range of reviews before making your decision. It is important to look at the cost of a BCAA supplement. Once you start taking it you will be committing for a number of months or longer. This can be a substantial cost over the course of a year and should be considered before you buy your first bottle. BCAAs are metabolized by your body differently to other amino acids. The main difference is where this occurs, in the muscles, as opposed to the liver. In fact, each of the three BCAA that you look for in a supplement has its own unique role in helping fat loss and muscle building. Leucine – This can only be broken down and used by your body through the fat pathways inside your muscles. Valine – In contrast, valine needs carbohydrate pathways to ensure it breaks down properly. Isoleucine – This amino acid can use both of the above pathways. The right blend, (2:1:1) allows the amino acids to be oxidized, creating energy for your body. This is instant energy as the power is created right where it is needed. Even if you don’t take a supplement your body will use the BCAAs when you’re exercising, especially if it is for a prolonged period of time. The supplement simply ensures you have enough of these amino acids in your body. BCAAs and all of the 9 essential amino acids cannot be manufactured by your body; you need to consume them. While a balanced diet should provide all the essential amino acids, this is not always the case. Taking a supplement ensures you have the BCAAs you need and your body can burn fat instead of burning muscle. Here are the answers to the most common questions, if you can’t find what you need to know here then get in touch! BCAAs are essential for the proper functioning of your body. The generally accepted view is that daily intakes between 15-35g per day are safe. In a few cases, people have experienced nausea and fatigue. It is also worth noting that you should only take BCAAs for a period of 6 months at a time. You should then give your body a break before you take them again. These are essential amino acids for your body. They boost protein synthesis; helping your muscles repair and grow. You’ll see an increase in energy when exercising. There is evidence to suggest they can reduce muscle soreness after exercise. Fatigue during exercise is reduced or sometimes eliminated. B vitamins are depleted, they are critical for many other processes in the body. Using BCAAs can reduce your levels of serotonin, which helps you to stay calm. 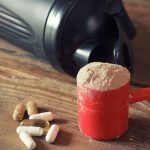 BCAAs can be got through high protein food, this can be seen as a better option than using a supplement. Yes! Because they protect your muscles, your body will need to burn excess fat. The effect is most pronounced when you are exercising. Taking a BCAA supplement without exercising is unlikely to boost your weight loss. This effect will continue after you’ve finished exercising as BCAAs increase insulin sensitivity which improves your ability to burn the carbohydrates you consume. Coupling BCAAs with a low-carb diet has been shown to be very effective. It’s another yes. BCAAs protect the muscle from being turned into energy, this stops them shrinking while you exercise. In addition, BCAAs are a critical component of protein synthesis. This is the process by which muscles heal and grow. 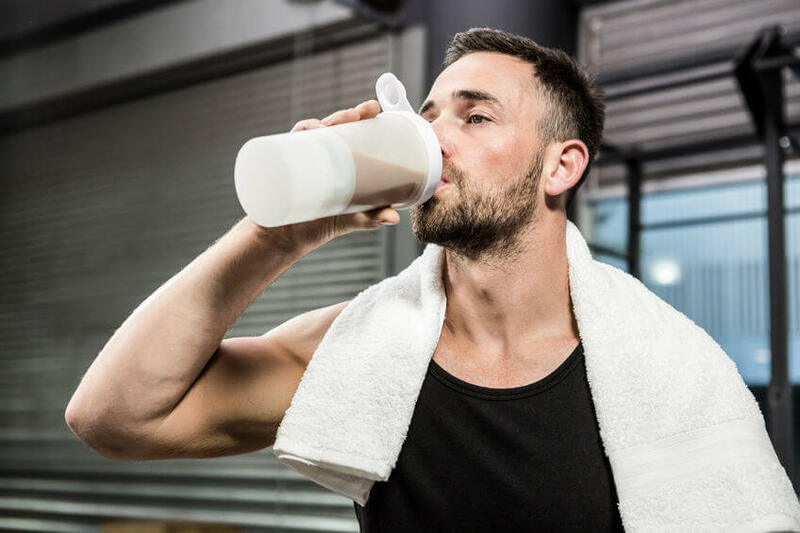 You can get BCAAs from protein shakes, eggs, beef, chicken, and even fish; but the BCAA supplement can help to ensure you have enough of them. BCAA is needed by your body, in general, it is safe to take these supplements without the risk of damaging your heart or other organs. However, as with most things, moderation is the key. BCAAs are found in protein within your diet. If you consume too much protein for an extended period of time it is possible it will overload your organs and cause them to fail. Of course, if you are using BCAA supplements according to their guidelines and are exercising frequently, there should be no adverse risk. The energy in your body is usually created by burning carbohydrates, which are turned into glucose in your body. BCAAs increase the level of glucose in your blood, allowing you access to more energy; without the need to burn the protein in your muscles. It works in exactly the same way as any other energy source for your body. The best BCAA supplements for you may be different, but my preference is the Optimum Nutrition BCAA powder as it does more than just improve my performance, it also reduces stress and fatigue. But, the best BCAA supplements for you will depend on your goals, if you’ve followed the guide above you’ll have chosen the right one for your needs and now be ready to feel the benefits. Now all you need to do is let us know how good your chosen supplement has been for you, and don’t forget to subscribe below; there’s a lot more useful information for you to check out! 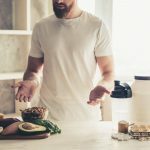 9 Best Cutting Supplements Reviewed 2019 – Get Shredded Fast!